One of the volunteers making some progress with Squeaky. You can see how he has been tearing up his feathers. Poor little guy needs lots of lovin'. Poor, poor little thing! It's so hard for them in the rescues... because, even when there are enough volunteers to 'go around' and they all try their best, they eventually have to leave and that breaks their heart all over again. I tell you, it's a no win situation for the greatest majority of parrots. Squeaky let me scratch his head today, interspersed by biting me. I do think he just needs attention. This is Tango. He steps up for me, but that's about it. He's a good bird. Pajarita wrote: ... But what's going on with Marvin's beak? I checked into this today. 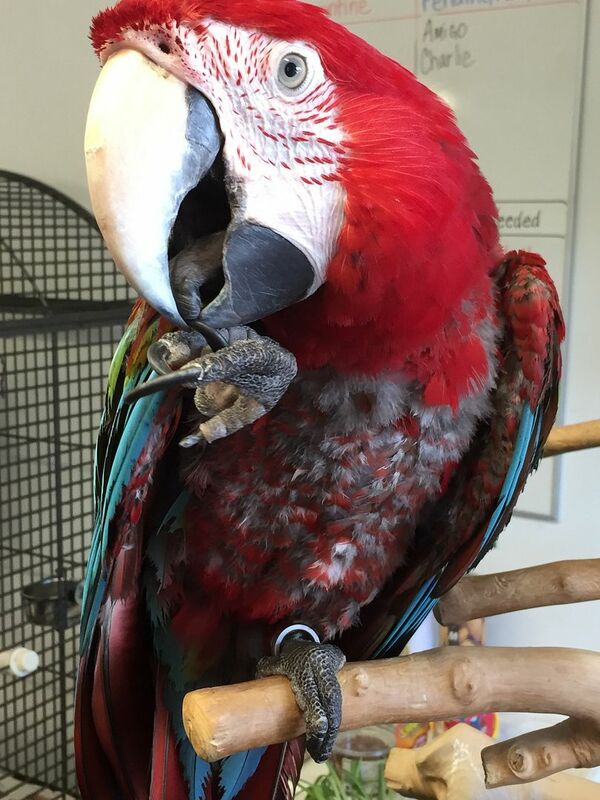 When Marvin came in his feet were messed up and his beak was grossly overgrown. He is the sweetest, gentlest bird. He barely moves at all, but sits there and sings, chirps, and buzzes like a giant mechanical canary. So have they had him vetted yet? With an overgrown beak and foot problems I would be concerned that he might have liver issues. 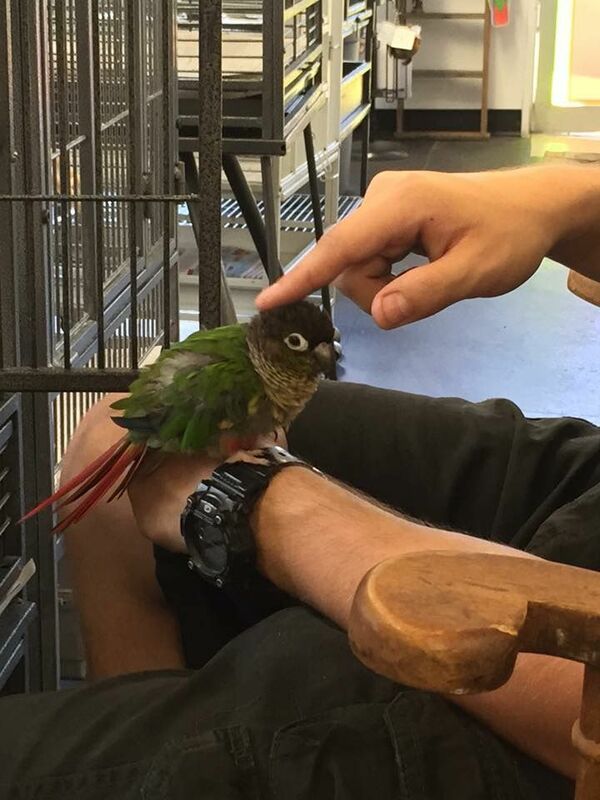 And he barbers his feathers, does he also pluck them? Two different birds. The one barbering his feathers is Tango, the Greenwing. He does not pluck, I don't think. The guy with the beak issues is Marvin, the Mealy Amazon. I know they are all vetted more than once in quarrentine. They spend 30 days in there and they have blood work and such. They say Marvin's feet have gotten better since he got his perches changed. He is so heavy. They say his beak has been improving, too. Sorry about that, tango's picture is the only one showing on this page on my computer and I missed the line beneath the picture.